Based on the success of previous editions of the special Wrangler, the Jeep ® brand presents its new model: Jeep Wrangler Arctic. Harsh and extreme conditions of the Arctic have inspired the latest model of the Jeep Wrangler, which is currently his first outing in Europe Motor Show in Frankfurt. With temperatures up to -45? C in winter and winds exceeding 160 km / h, the Arctic region is known for having one of the harshest climates in the world. "Few environments are as difficult and demanding as the Arctic, which is exactly the type of terrain legendary Jeep Wrangler that had been conceived to conquer," said Mike Manley, CEO and Director General of the Jeep brand and Director General Asia Chrysler Group LLC. "The Jeep Wrangler Arctic appeal to our loyal fans the most exclusive features but its also attract new customers to the Jeep brand." 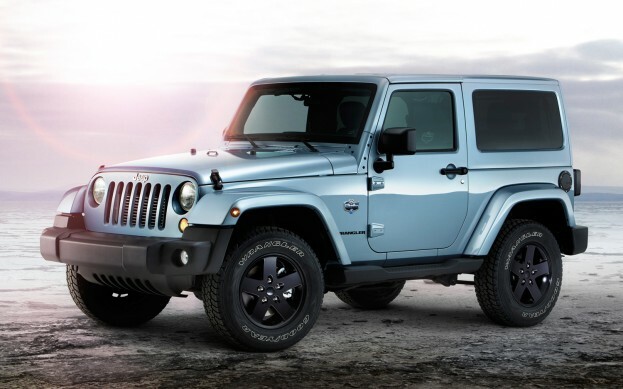 Available on vehicles Jeep Wrangler and Jeep Wrangler Unlimited, the new Arctic model will be the new crew 3.6 liter V6 petrol engine combines a automatic transmission or five-speed 2.8-liter turbo-diesel engine combines a manual transmission six-speed automatic or a five-speed. Based on the version of the Jeep Wrangler Sahara, the design of the Arctic edition is immediately recognizable. Available colors: Winter Chill, Bright Silver and Bright White. The exterior has a hardtop and fender flares in body color, logos "Arctic" on the front fenders, a decalcomanie "Yeti Footprint" on left front wing and bonnet, as well as Fuel Door Mopar ® black. 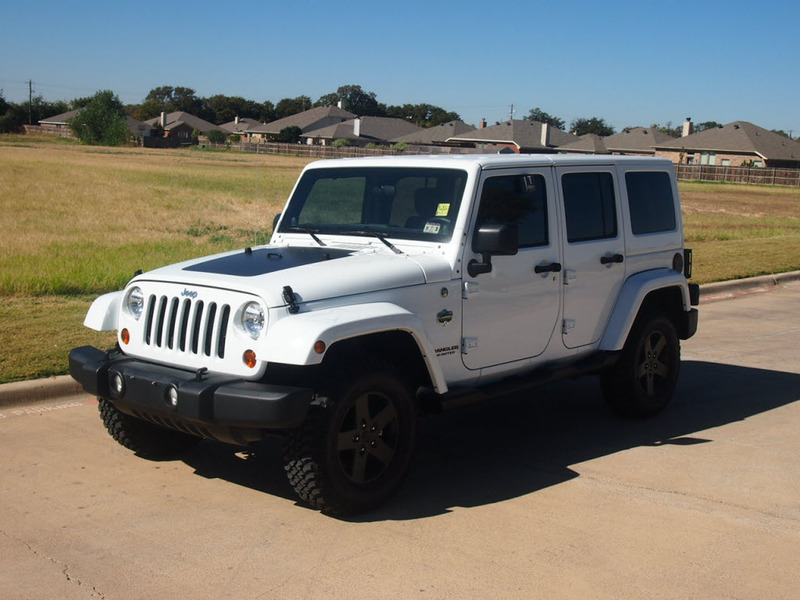 Jeep Wrangler Arctic also includes robust wheels with tires Wrangler Rubicon, and exclusive wheels 17 inch black SATIN. On the inside, the seats of the Jeep Wrangler Arctic are coated with a black fabric with Polar White Tectonic keys with welt trim and stitching Arctic Orange. The front seats are heated, with the "Arctic" logo on the back. The stitching also adorn the steering wheel, armrests and center console lid. Door trim and nets have trunk keys Arctic Orange while all knobs and dials of the dashboard have a Polar White finish. The design of the Wrangler Arctic is supplemented by the "Arctic" logo on the tachometer, and the inscription "Jeep" in white letters on the mat embossed Mopar ®. Jeep Wrangler, the most iconic vehicle in the world, yet improves its capabilities both on road and on track, thanks to a new petrol engine 3.6-liter V6 and a five-speed automatic transmission. These two elements are shared with the Jeep Grand Cherokee, award-winning. The 3.6-liter V6 Pentastar Chrysler Group, quoted in the list of "10 Best Engines" by the prestigious American automotive magazine Ward, develops a power of 284 hp * (209 kW) and 347 Nm (256 lb-ft) of torque, 42% power and 10% more torque compared to the previous 3.8-liter V6 engine with a 5% improvement in fuel consumption. In addition, to ease the transmission and improve the performance, the petrol version of the Jeep Wrangler is now equipped with an automatic transmission has five gears instead of four. 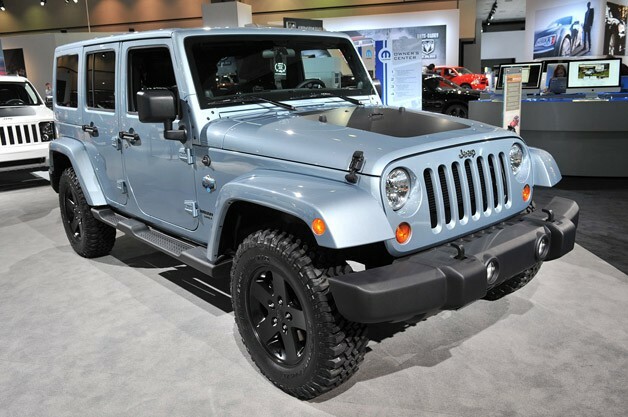 The last Jeep Wrangler also features the first application of a manual transmission to the Pentastar 3.6-liter V6. Never need to wash your vehicle?